At Holt Eye Clinic, our Hot Springs eye doctor offers a wide range of eye and vision care services to suit your needs at all stages of life. Whether you need a routine eye and vision exam, contact lens fitting, or even pre- or post-operative care for eye surgery, you're in good hands with our experienced eye care team. We're able to offer comprehensive eye care services in our office. One of the most common services we provide to our patients is that of our eye and vision exams, which we generally recommend once a year for patients. These exams are a great way to stay on top of changes in your eye health while also making sure your corrective vision prescription is up-to-date. We also offer a full range of optical services in our office, so if you're in need of a new pair of prescription eyeglasses or sunglasses, we've got you covered. We carry today's most popular styles from your favorite brands, as well as a wide selection of specialty lens options to suit your lifestyle. Thinking about making the switch to contact lenses? Start by scheduling a contact lens fitting in our office; this specialized exam allows us to determine whether you'll be able to wear regular contact lenses or will need specialty lenses (such as Toric or gas-permeable lenses) due to an underlying eye condition, such as astigmatism. Finally, if you're in need of any kind of eye surgery, such as surgery for cataracts, our eye care team can provide you with the co-management you need both before and after your procedure. This includes a pre-surgical evaluation to determine whether you're a viable candidate for the procedure. 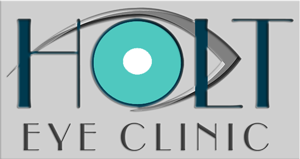 If you're in need of any of these eye care services or would simply like to find out more about our practice, contact Holt Eye Clinic today at (501) 624-0609 or (501) 624-6330. Our Hot Springs eye doctor looks forward to serving you.